PORTLAND, Maine – January 30, 2019 – The Maine Red Claws, presented by Unum, announced today that Trey Davis has been re-acquired. He is expected to be in uniform this Friday at the Portland Expo, when the Red Claws take on the Greensboro Swarm. Davis (6-0, 180) has re-joined the team as a returning player. An undrafted free agent, the former UMass star joined the Red Claws last season after making the team out of the team’s open tryouts. In 2017-18, Davis averaged 16.3 points and 3.1 rebounds per game. 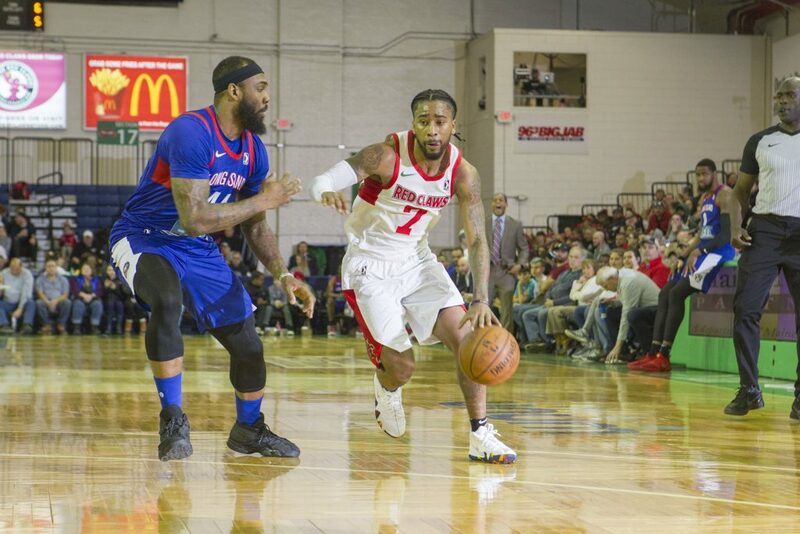 On March 18, 2018, Davis shattered the Red Claws franchise record by scoring 57 points in a single game. Davis also set the franchise record with 10 made three-point field goals in that game. This season, Davis had been playing overseas in Poland. The Red Claws take on Greensboro Friday and Wisconsin on Saturday. Both games are scheduled for 7 p.m. Tickets are on sale now by calling 207-210-6655 or by visiting MaineRedClaws.com.